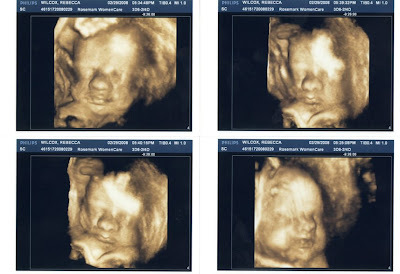 We had a 3-D Ultrasound last week and here are some of the first pictures of our little guy. I think he has his Grandpa Scott's nose, what do you think? Hey guys! I love it that you have a blog now!! Miss you! He is going to be so cute! hey does stef have a blog? I miss you two!! I'm so glad you finally posted something!! Aren't these 3-D pictures amazing... it's just incredible what technology can do these days! !